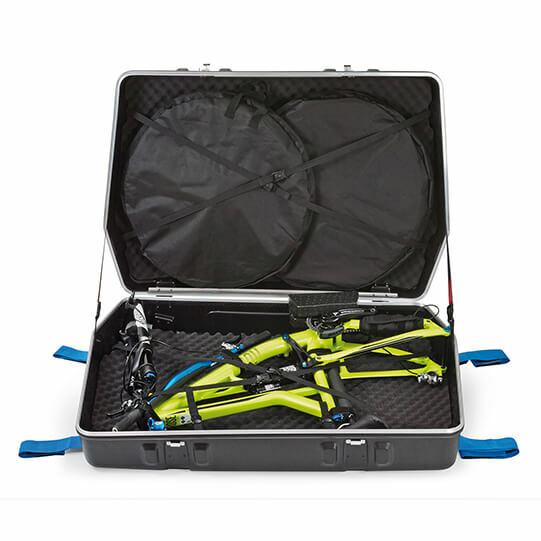 The new bike case II will accommodate all frame sizes, including downhill frames and full suspension mountain bikes. 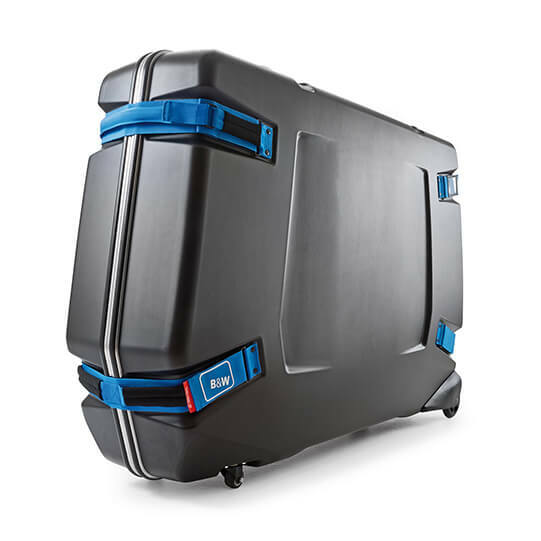 This high quality case has an ABS strike-proof shell moulded around an aluminium frame. The shell is double thickness around the 4 wheels on the bottom corners for added strength. The wheels are free running with reinforced axles, two freely rotatable, two fixed. 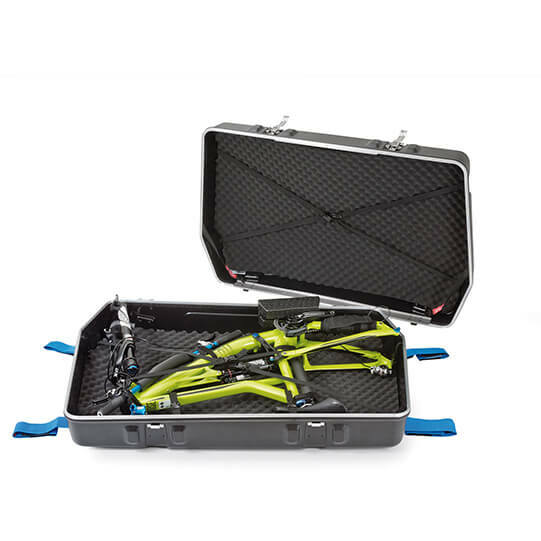 Fixed straps hold the bike frame and wheels securely inside the case, with 2 wheel bags included. 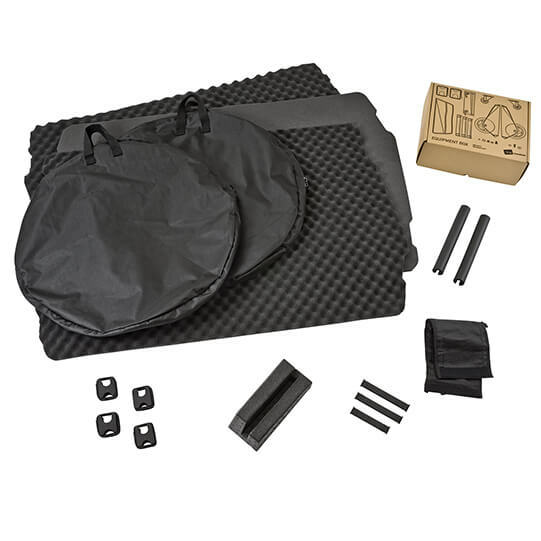 There is plenty of additional interior padding to protect your bike, minimum disassembly is required. Tough foam chain-ring protection guard. There's plenty of room to stow other gear too. John Jordan Limited, Unit 1A Toll Bar Estate, Sedbergh, Cumbria LA10 5HA.